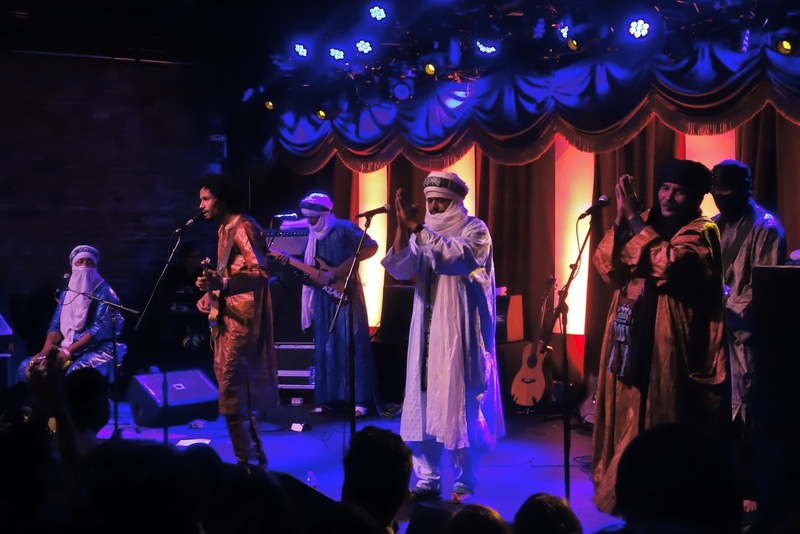 Tinariwen were a long way from home when they played a two night stand at Brooklyn Bowl this week. 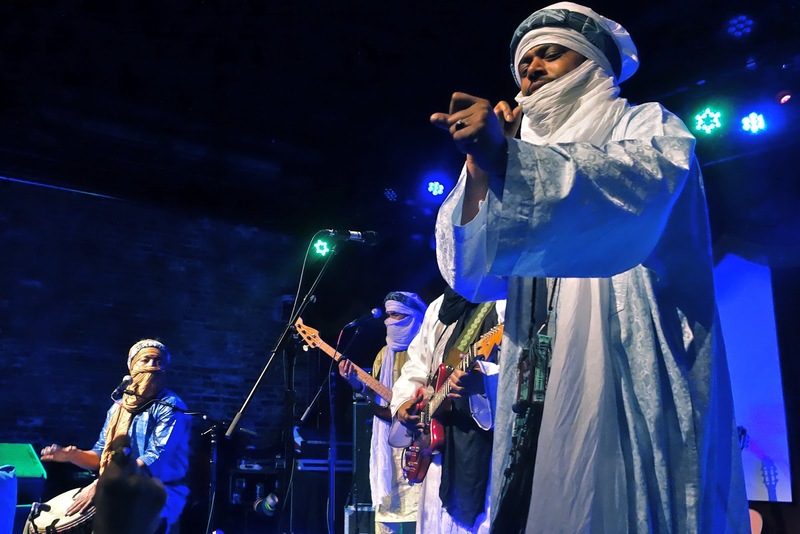 The trendy confines of BB are a world away from the shifting Sahara sands of Northern Mali. 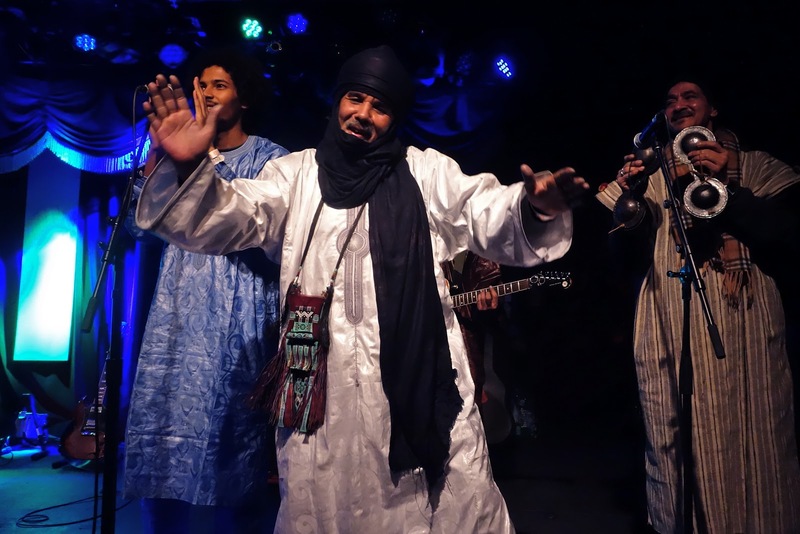 However, the nomadic lifestyle is nothing new for these Tuareg musicians. 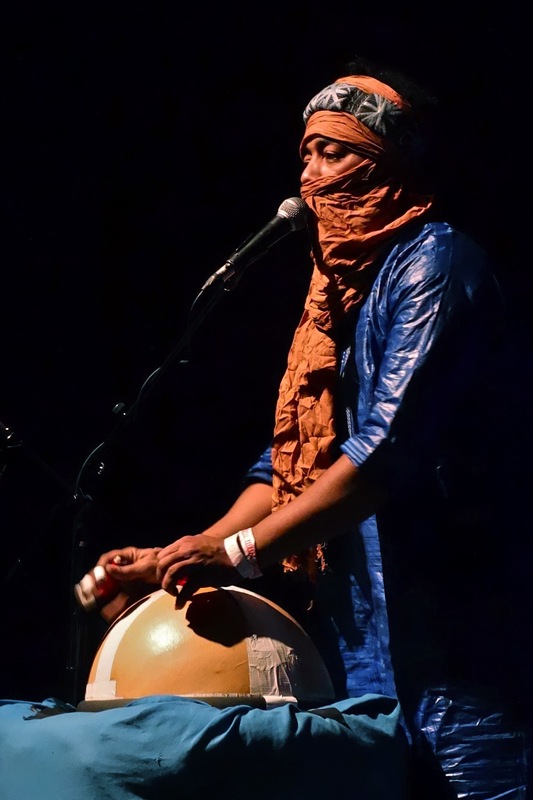 Instability at home and touring the world have kept them on the road for over a decade. 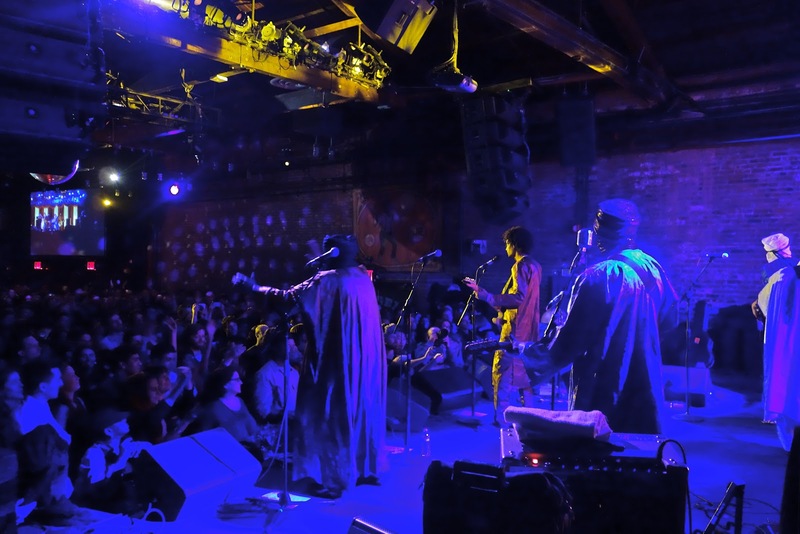 Their latest record, Emmaar, was recorded in the Mojave desert near Joshua Tree National Park in California, a place whose landscape provided a fitting backdrop for them to cut their 6th album of mesmerizing African blues. 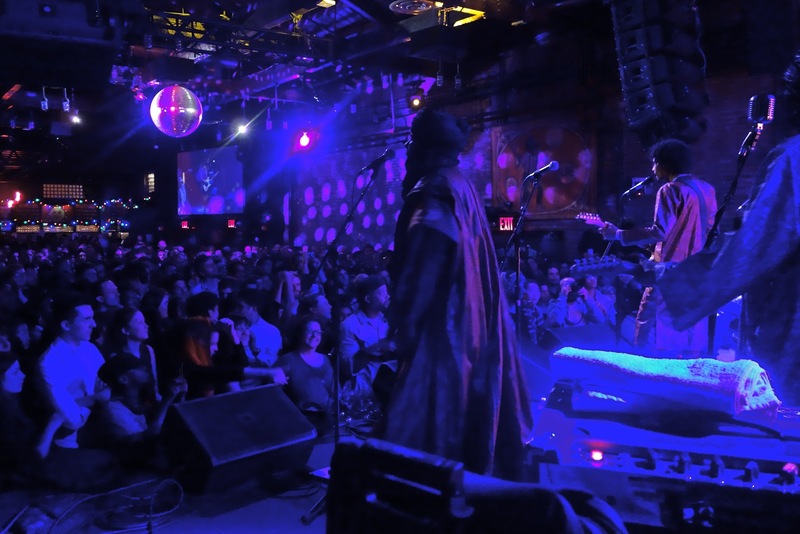 Tickets for their Sunday night show (a steal at $20) were in such high demand that Brooklyn Bowl added a second show on Monday night. 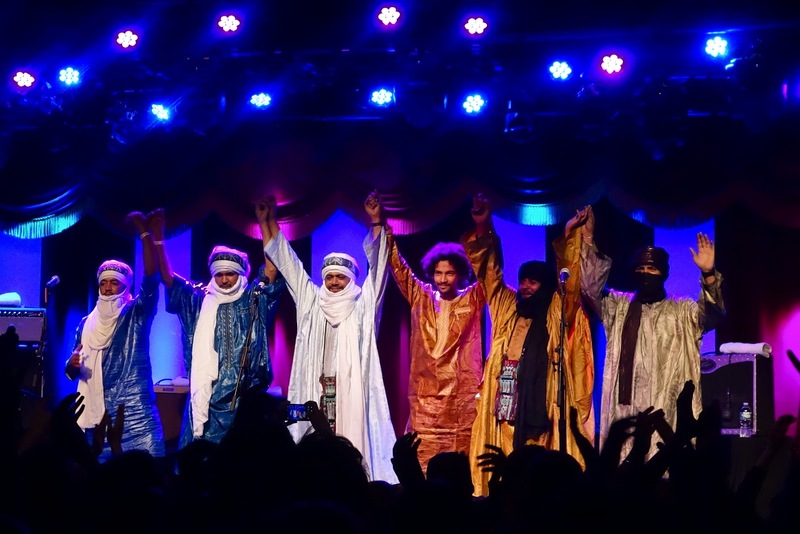 It's not often a Grammy winning band as unique as Tinariwen rolls through Brooklyn, so I doubled down and caught both performances. 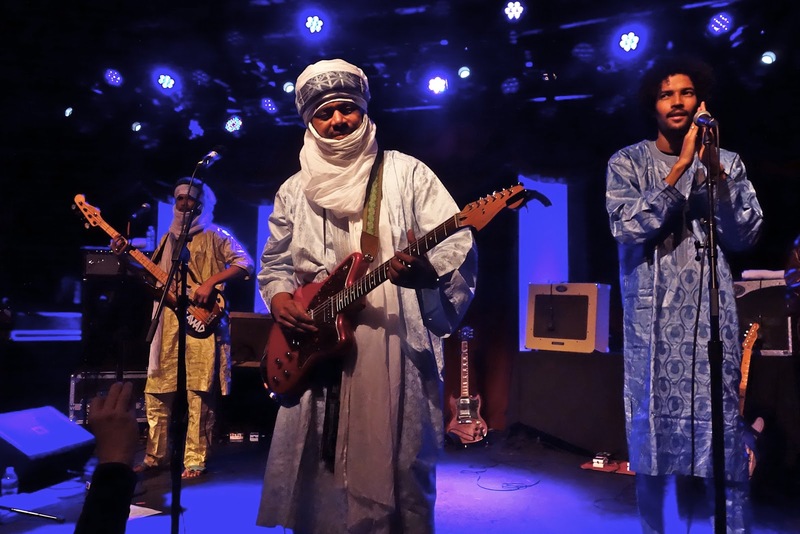 Listening to their records is rewarding, but experiencing Tinariwen live was transporting. They seeped in like an opium drip and left me craving more. At first I took in their look. 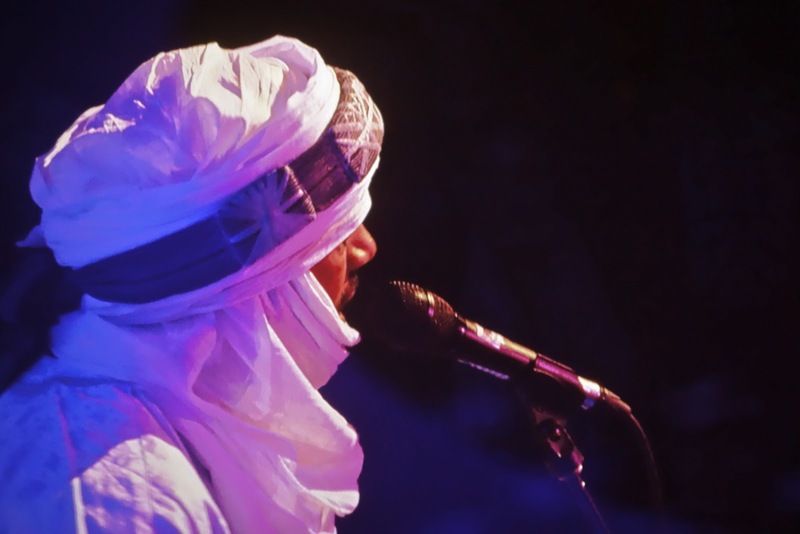 Tinariwen didn't dress down, they were draped in gorgeous fabrics with heads wrapped as if a sandstorm may blow through at any moment. 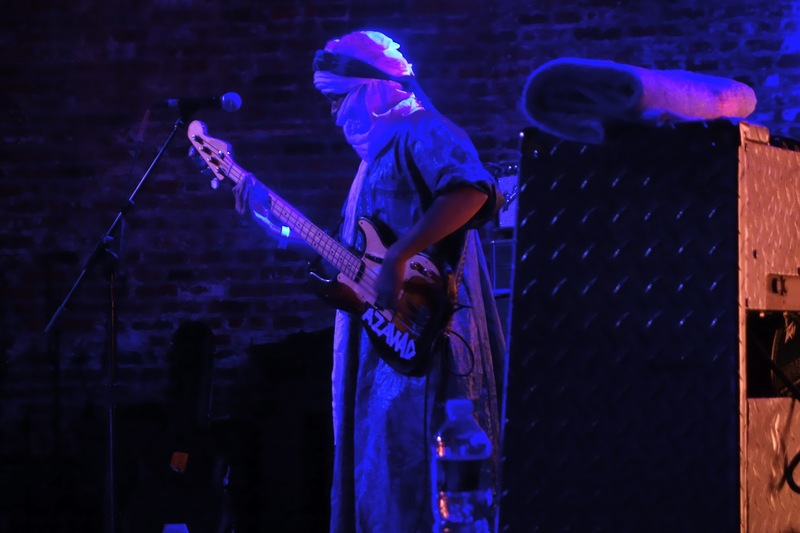 Their sets began with slow building dirges whose repetition and hand drum rhythms enveloped and mesmerized. Before long the tempo of the songs picked up a bit and the crowd began to move. 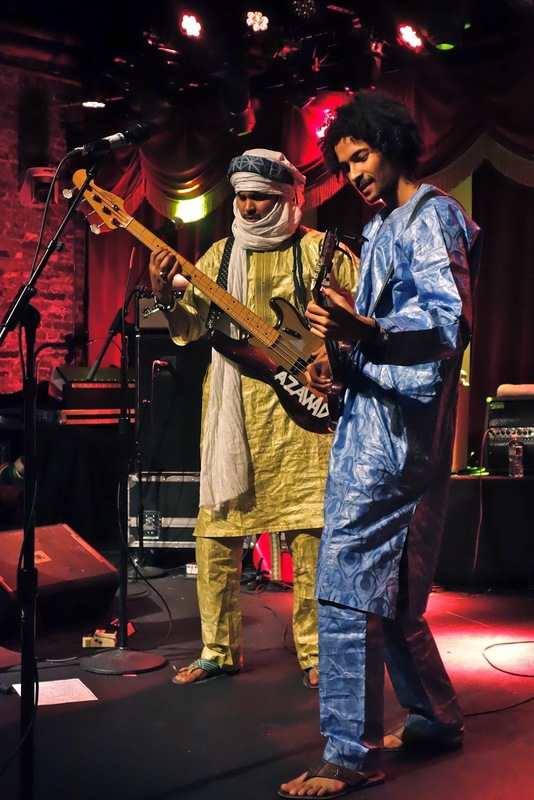 The guitars played spiraling hammer on leads and their power continued to reveal itself. When they finally shifted gears and picked up the pace it was fruitless to fight the desire to merge with the sound. 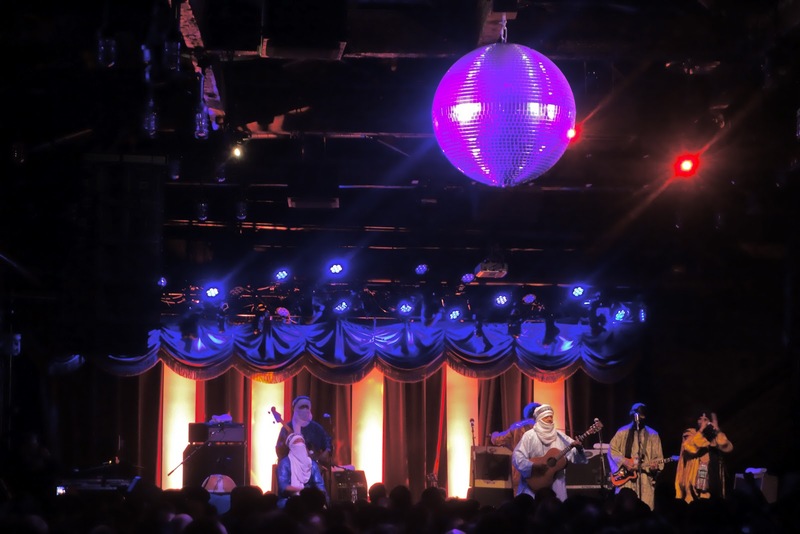 Brooklyn Bowl was under their spell. 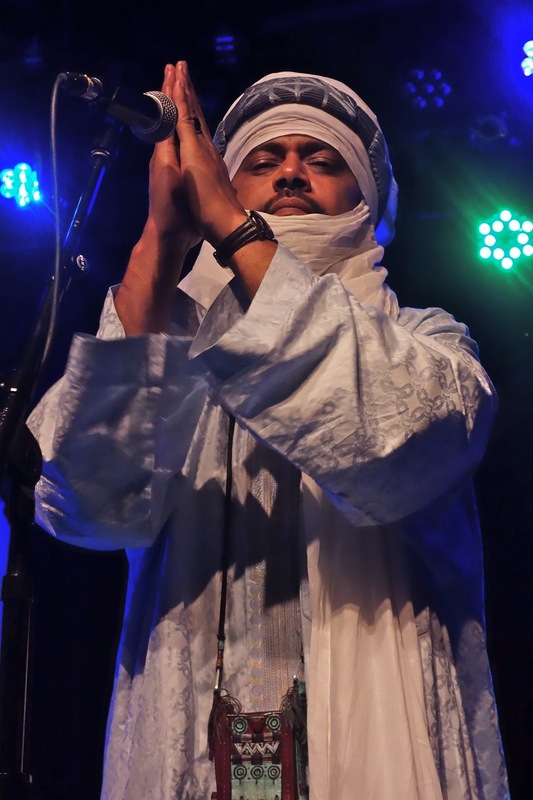 One of the three lead vocalists, Hassan Ag Touhami, never seemed to stop dancing. 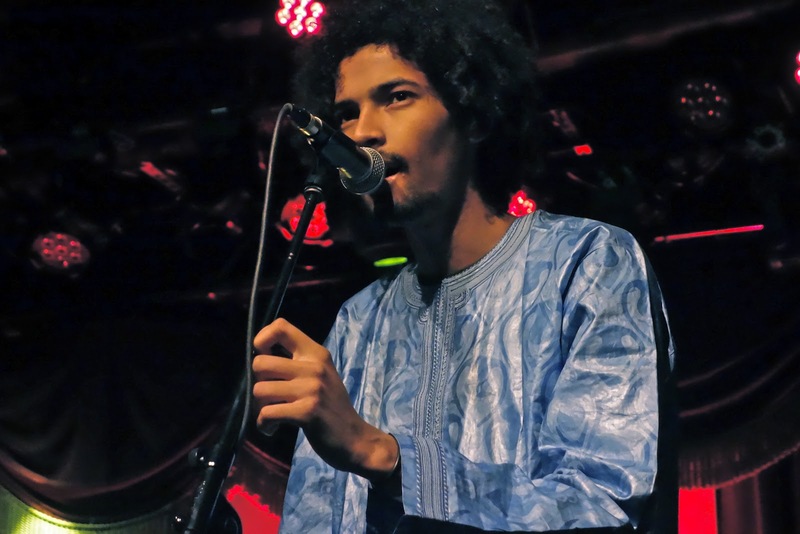 While doing his thing he locked eyes with audience members and had a powerful smile that just exuded warmth and genuine love. It sounds cheesy, but he had a magical ability to connect with the audience. Willie Nelson is the only other performer I've ever seen with this gift. Hassan is real deal. Everyone in the area I stood, including me, had their own moment with him. 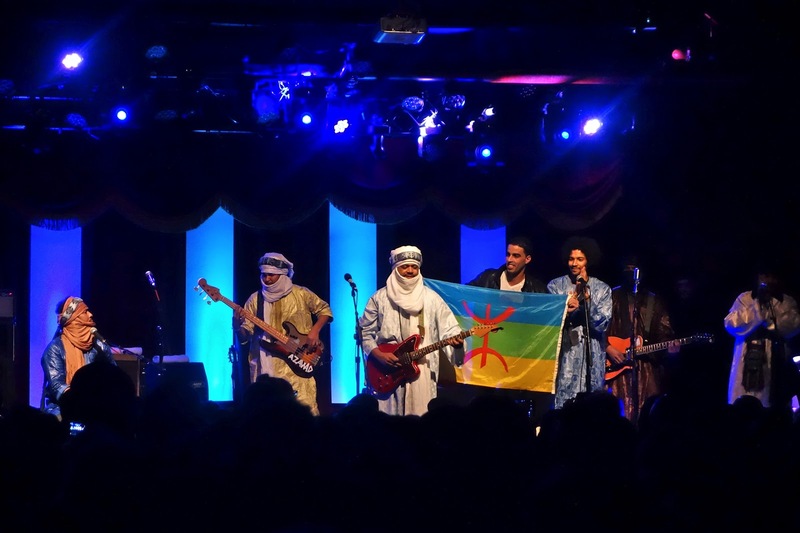 Tinariwen were the out of towners the other night, but somehow they made me feel more at home than I've felt in a long time. 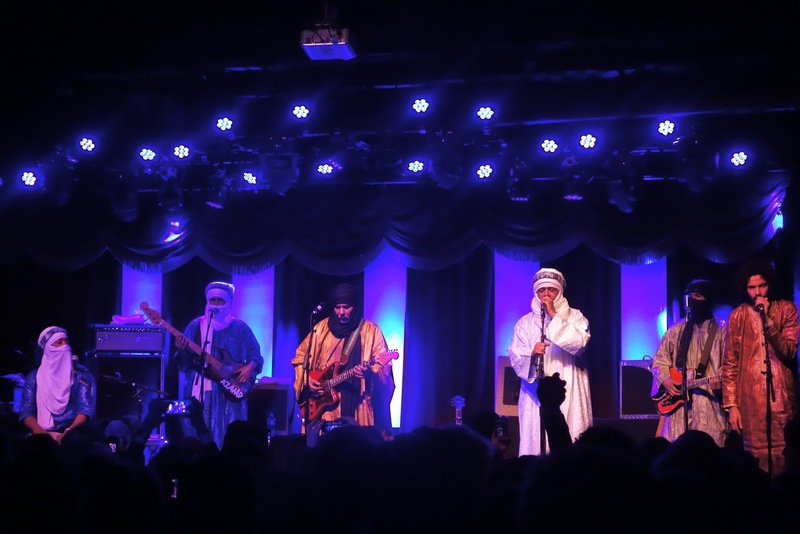 If you ever have a chance to catch a Tinariwen show, I can't recommend it enough. Scroll down for some of my photos.